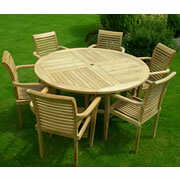 Start searching your furniture at your local casual furniture store. There you will see an array of furniture types, styles, frame finishes, colors, fabrics and accessory pieces to make lounging and relaxing as carefree as you want it to be. Creating various gathering places for family and friends to relax and share good times is a pleasant endeavor. Furniture quality has never been higher, and manufactures are paying closer attention to style and fabrics that mimic trends in indoor furniture. Though often called patio furniture, opportunities abound to dress up any area of the backyard-from a patio deck or spa side to a shady alcove in the corner. 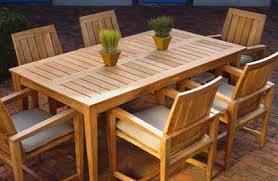 For covered porches or the outdoors, you may want deep-seated pieces specifically designed. Weather and fade resistant cushions on an aluminum frame covered with synthetic wicker dominate this part of the industry, but comfortable lounge chairs, love-seats and couches can be found in many other frame styles. 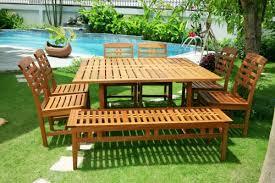 « Do We Need Teak Oil To Treat Teak Patio Furniture?